On Monday, in the wake Tiger Woods’ historic Masters win this past weekend, legendary broadcaster Jim Nantz appeared on Murph & Mac to talk about the importance of Tiger’s win, as well as the special moment between the golfer and his son. 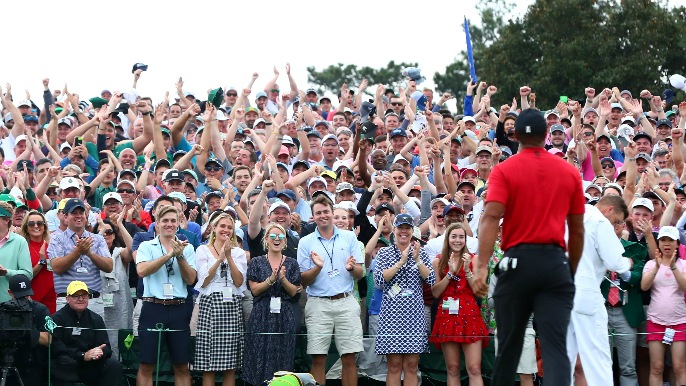 While the emotion of most fans hit a peak as Tiger sunk his final put on the 18th green to secure his first major victory in 11 years, Nantz says the most emotionally powerful moment came as he was walking into the clubhouse. Nantz says the images of the green in Augusta on Sunday took him back to when Tiger and his father Earl shared a moment two decades ago. Admittedly, Nantz says he’s seen a lot of great moments in sport over the years, but he says he isn’t sure he’s seen anything better than what happened on Sunday.